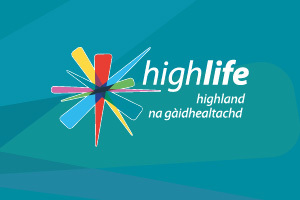 Get involved in sport with High Life Highland. It doesn’t matter if you are the next Chris Hoy or just want to have fun, our sports team is here to help you and your family get active and get excited about sport. 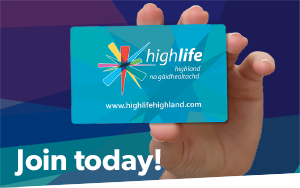 We want you to have a wide range of activities to choose from no matter where you are in the Highlands. We start with our team of Active Schools Co-ordinators who aim to increase the opportunities for activity within the community for children and young people, aspiring young people to adopt healthy lifestyles that will stay with them throughout their lives. The Active Schools Co-ordinators are supported by volunteers who give their time to help to deliver active sessions. The sports specific development team are working to develop Disability Sport and Coaching as well as a range of initiatives such as Active Schools and Community Sports Hubs. They work in partnership with national agencies and local groups to ensure you have access to the best grassroots development right through to top end coaching for elite athletes. Our team is here to support your team. If you are part of a club or a sporting organisation we can provide advice on a range of topics from governance and funding to child protection. The sporting possibilities in Highland are vast and no matter where your interests lie and what level you participate at we want to support you. Delivering quality sports and physical activity opportunities to the whole community.